Isotropic film, normal metallized on untreated surface. : Isotropic film, normal metallized on corona surface. We are a leading manufacturer of Met Pet Poly Reel in packaging industry since 1982 in Chennai, Tamilnadu, India. We have been supplying our products in india and exporting to foreign countries also. Capitalizing on the skills of our dedicated team of professionals, we are engaged in offering a wide assortment of Met Pet Film to our customers. 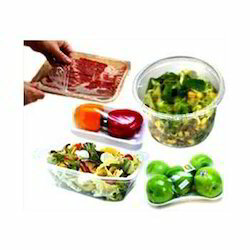 This Met Pet Film is widely used in different industries for its diverse applications. Moreover, we offer these products in varied sizes and shapes at best prices. We bring forth vast industrial experience and expertise in this business, instrumental in offering Synthetic Film (L.M.O. Synthetic Film). b)Heat Sealable Opaque Film for Lamination.